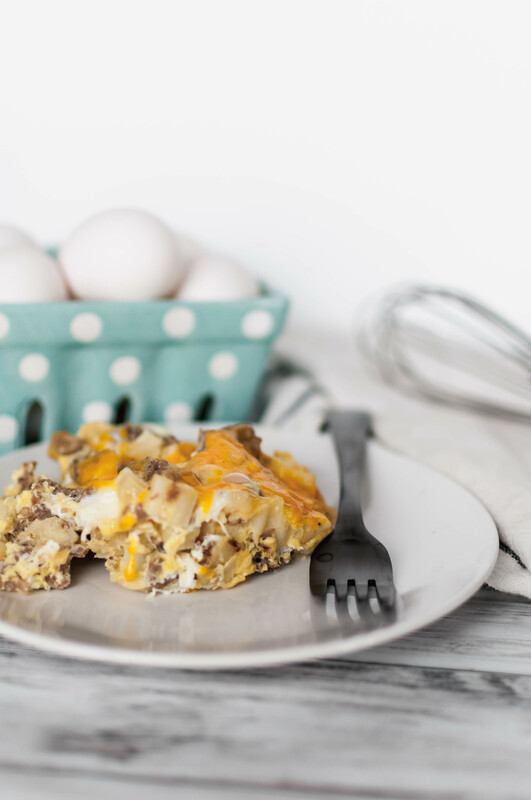 This Instant Pot Breakfast Casserole is perfect for Easter morning or Mother’s Day brunch. Simple ingredients and just a little effort and time yield big, tasty results. It seems like people grow up with a traditional breakfast for holidays and stick with them throughout their lives. At least, most people I know. Is that you or do you like to switch it up every year? I live in a house divided. Joel is a traditionalist and likes the same thing over and over. I get bored easily and like variety. Today I’m hoping you’re in the switch it up category because the recipe I’m sharing is definitely perfect for busy holiday mornings. Or lazy brunches. You do you. And maybe this will turn into your new go-to breakfast recipe. And you don’t even need to save it for special occasions because this Instant Pot Breakfast Casserole is just as great for the weekend or even a weeknight meal. We roll with breakfast for dinner (brinner) often around here. There’s no way this is going to be bad, am I right?! The casserole starts with a little saute action of the sausage and hash browns in the Instant Pot. I love that feature of the Instant Pot so much. After the sausage is cooked through the remaining ingredients get added in and it’s done in 25 minutes. Boom. So basically while you shower or get ready for the day your breakfast is cooking itself. With all the cooking you’ll be doing for Easter dinner, you’re going to really appreciate this super simple breakfast to start your day. Turn Instant Pot to saute setting. Once warm, add olive oil and breakfast sausage. Break up sausage with a wooden spoon and cook until no longer pink. Meanwhile, whisk eggs, milk, salt and pepper. Set aside. Add potatoes to the Instant Pot and cook for 2 minutes. Turn off saute setting. Dump everything out of the pot into a large bowl and spray the instant pot well with nonstick spray. At this point you have two options in cooking style. The first instructions have resulted in some burn results for some people. This method has worked for my Instant Pot but it seems like newer version are more sensitive. If you have a new version or want to be extra safe, follow the second method of cooking (still in the Instant Pot). OPTION 1: Put sausage and potatoes back into the instant pot then pour egg mixture over the sausage and potatoes. Press down to make sure all the potatoes are covered. Top with the shredded cheese. Turn Instant Pot to manual high pressure and set for 25 minutes. Once done cooking, use the quick release method to release the steam. OPTION 2: Spray a bowl or oven safe pan that will fit into the Instant Pot with nonstick spray. Add potatoes and sausage into the bowl. Pour the egg mixture over top of them. Top with shredded cheese. Add one cup of water to the Instant Pot and place the rack inside the pot. Place the prepared casserole on top of the rack. Put lid on Instant Pot and make sure the pressure valve is sealed. Cook on manual, high pressure for 25 minutes then quick release. Manual high pressure or manual low pressure? What’s the need for such a long cook time? Does it stick? Hi Connie. It should be cooked on high pressure, sorry for not including that detail. I’ll update the recipe to state that. The cook time is for the eggs. The cook time is to ensure the eggs are cooked through. When I tested it the first time I did less time and the eggs were still runny. Hi Meg. How many dinner servings does this make? I’ll need to serve 10-12. Is there room in the pot? And would I need to adjust cooking time? Hi Carrie! This recipe would serve 4-6 people, depending on how hungry everyone is and if anything else is being served alongside it. So if you double the recipe that should be perfect. If it will all fit will depend on the size of your Instant Pot. 6 quart or larger will work for doubling. I tried this recipe yesterday but kept getting the “burn” error. Tried stopping, cleaning the liner, and restarting but it did it again. Ended up finishing it in manual “crock pot” mode. They tasted great, but was frustrating. Any tips? Hey Jeff! I’m sorry you had this issue. I’ve never had the burn error pop up but I did some checking around and there are a few different things that could have been going on. Maybe it wasn’t sealed completely or the silicone ring wasn’t completely sealing the lid. It could have also been because it sticks to the bottom of the pot pretty badly sometimes. I think spraying it with nonstick spray would help (I’ll add that to the recipe). Sometimes if the liquid part of the recipe is too thick this could happen. It didn’t occur for me but you might try adding an additional 2 tablespoons of milk next time to make the egg mixture a little thinner. That amount of milk won’t affect the recipe and will hopefully fix the issue. Glad you were able to get it cooked still and that it tasted yummy. 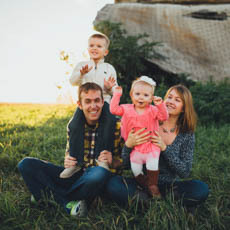 Hi Sara! I’m so sorry you had issues with this recipe. I haven’t had the burn issue come up but several people have commented saying they have. I updated the recipe so that it still cooks in the Instant Pot but a pan or bowl that fits into within the pot instead of directly inside it. Again, I’m so sorry and I hope you’ll give it another try someday. Thanks for stopping by. I couldn’t get the Instapot to pressurize because of the lack of liquid. Followed the recipe as written. Should there have been some watercolor added? Had to finally remove and put under broiler. Darn it. I’m sorry you had issues with this recipe. I had someone else comment this week that they had trouble as well so I just retested it today to see if it still turned out ok with additional milk. I didn’t have trouble personally when I tested this but I don’t want this to happen to others. Happy to say it worked with more liquid so I’ve updated the recipe to reflect that change. Sorry again that it wasn’t successful. I hope you’ll try it again in the future. Thanks for reading and commenting. I had trouble. It stuck to the bottom and registered burn. Tried it 3 times. Finally just gave up. Disappointed. I’m sorry Cheryl. I haven’t had this issue with my Instant Pot. Do you have a newer version? I’ve heard they are more sensitive then older ones. It took me forever to find a recipe that sauteed the sausage in the pot. Thank you for posting this! I’m hoping that actually sauteing the sausage in the pot first will keep the eggs from sticking to the pot. I will definitely spray the pot as well but why precook the meat on the stove if you have a pot with the saute feature!!! I look forward to trying this out soon. Does this work with bacon? Yes, it would be great with bacon as well!